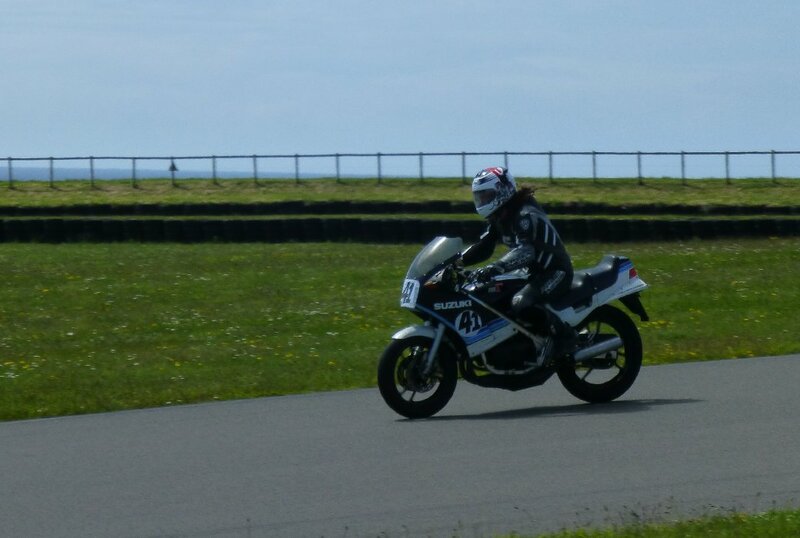 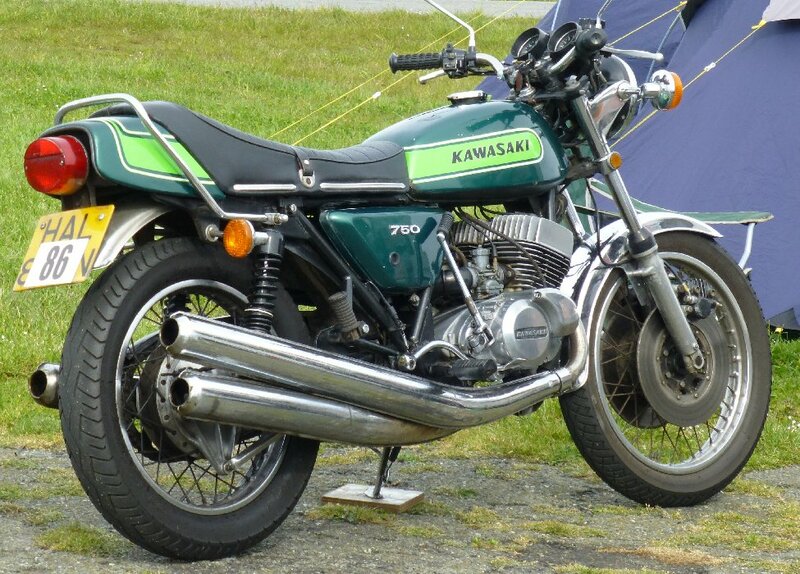 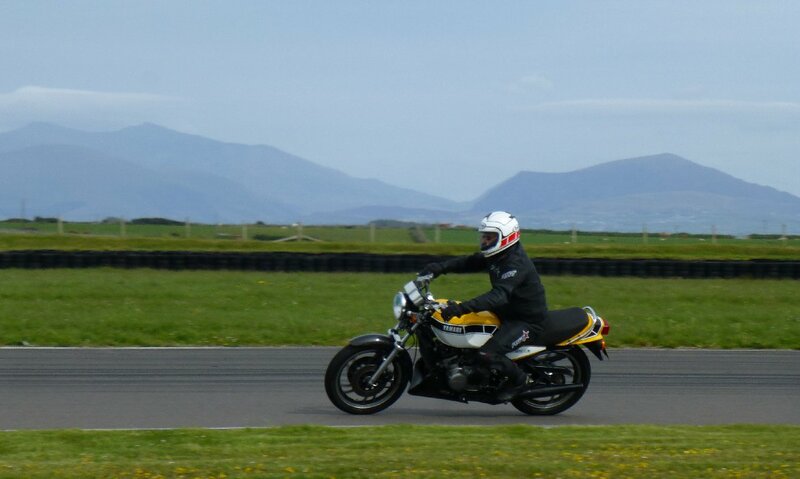 Another great weekend of bikes, bands, beer and BBQ's and a first visit to Anglesey for us. 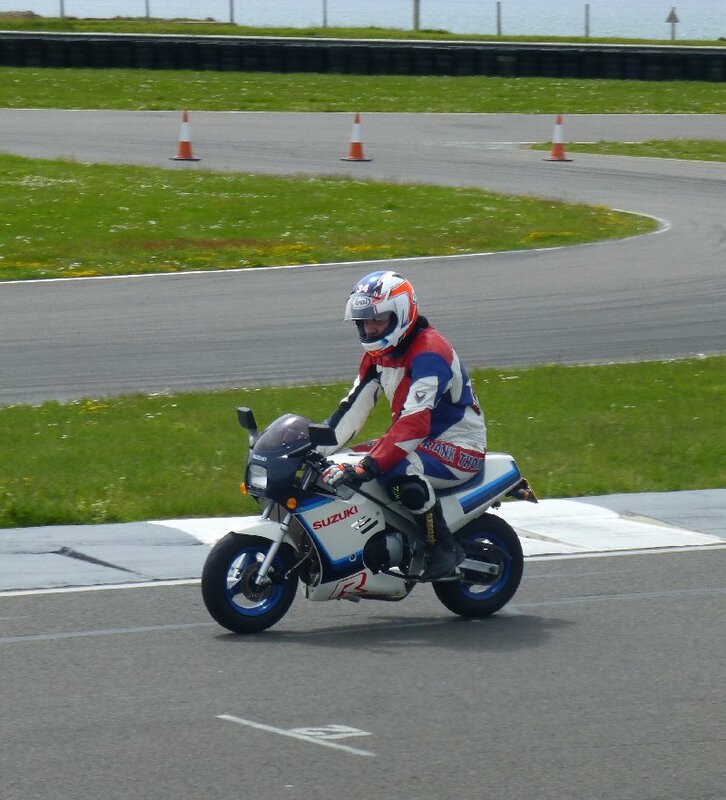 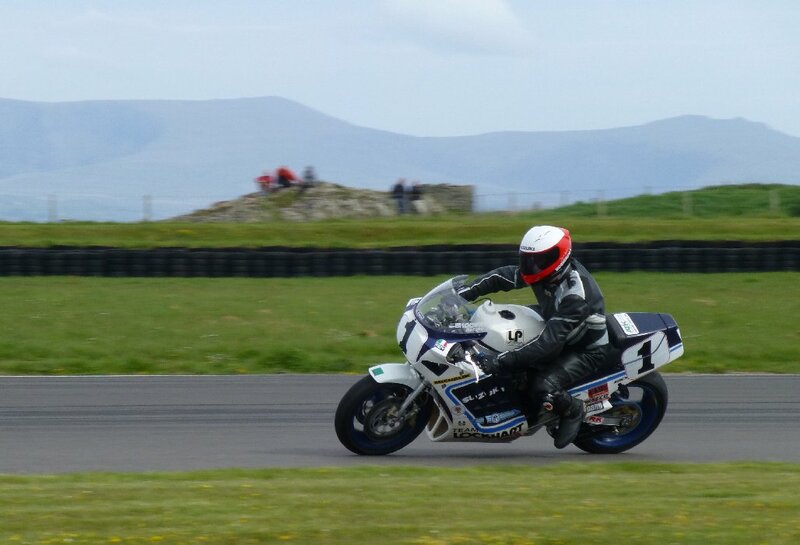 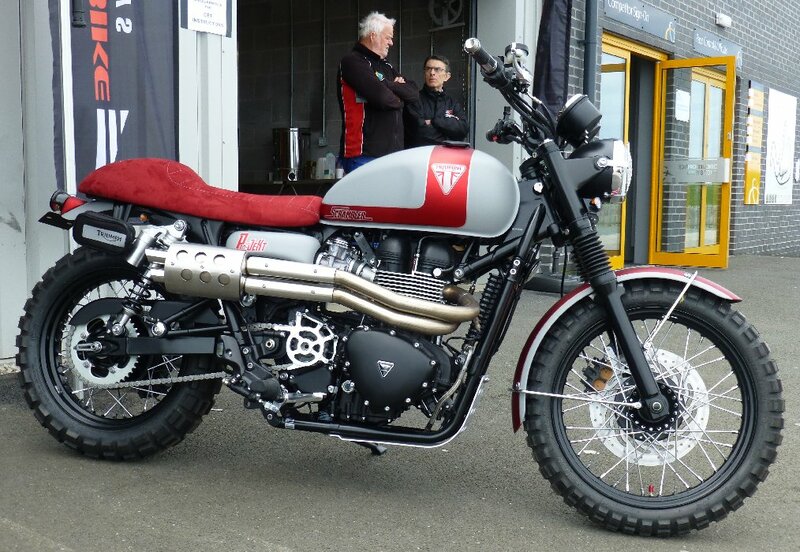 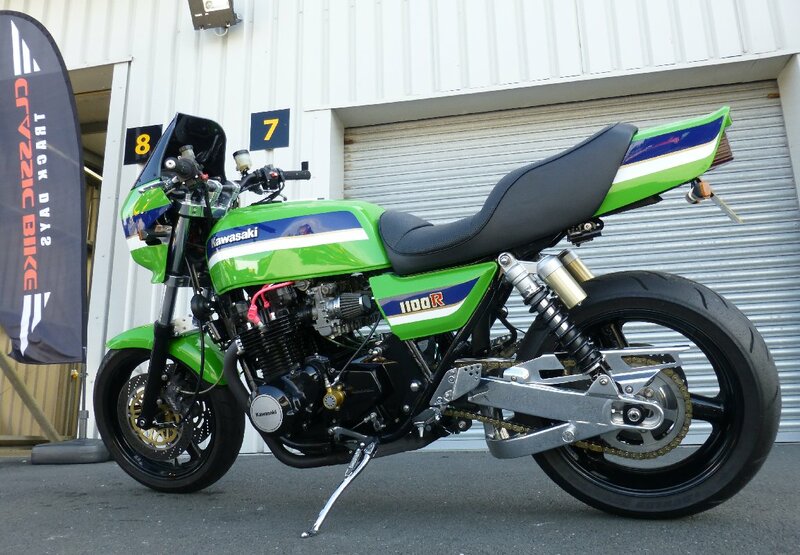 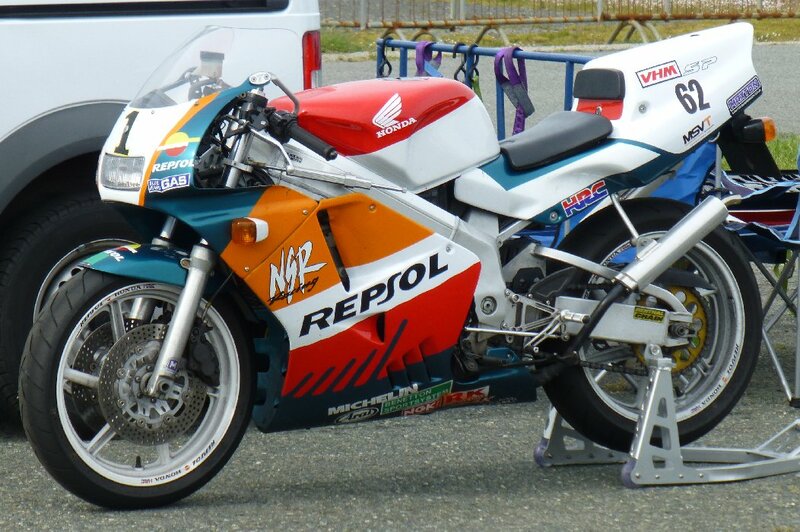 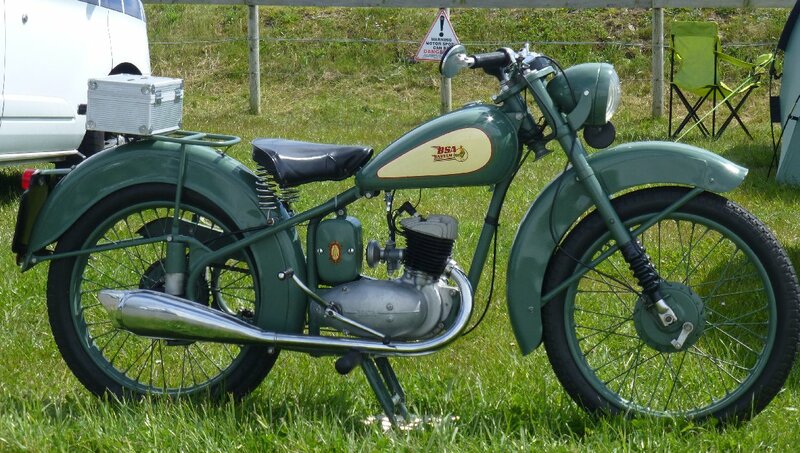 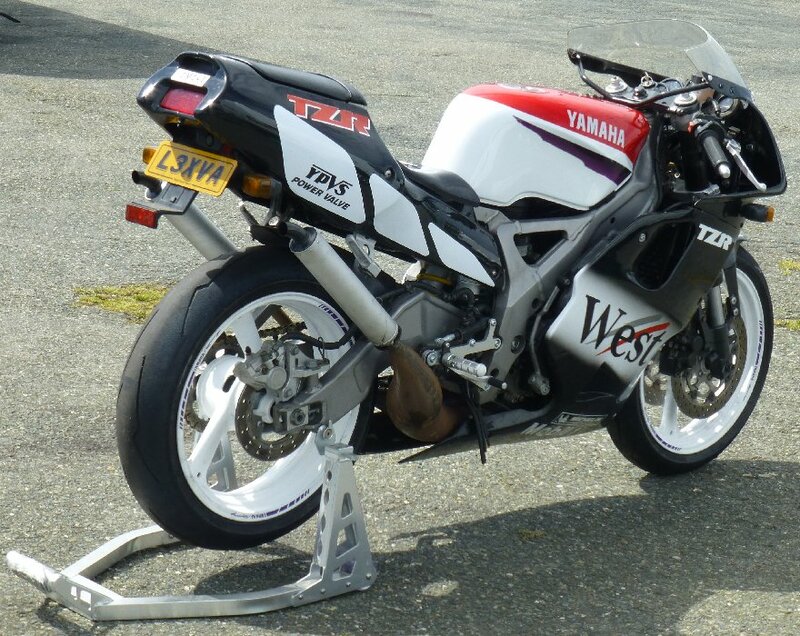 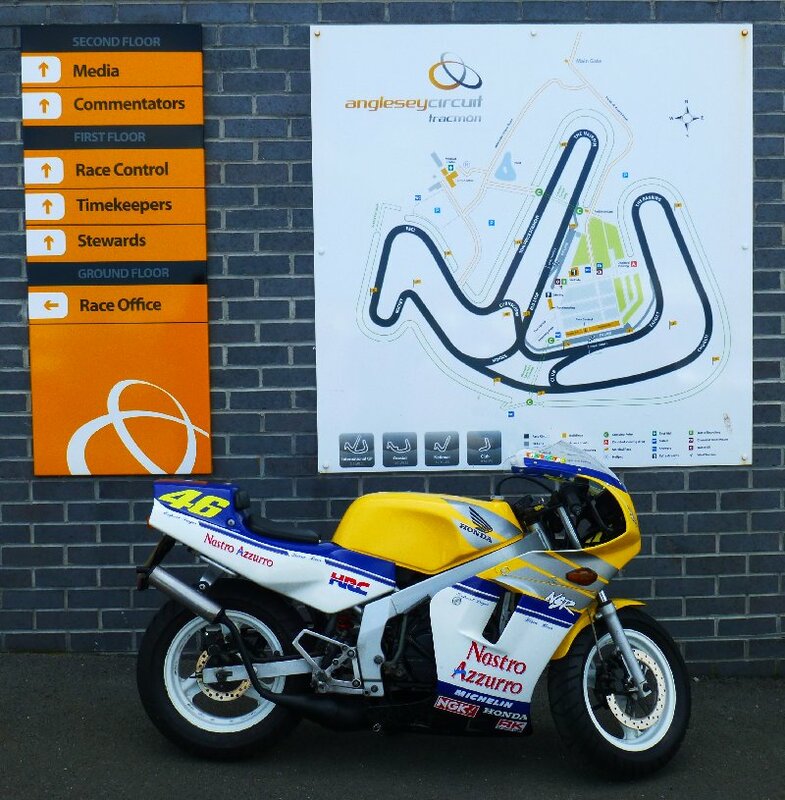 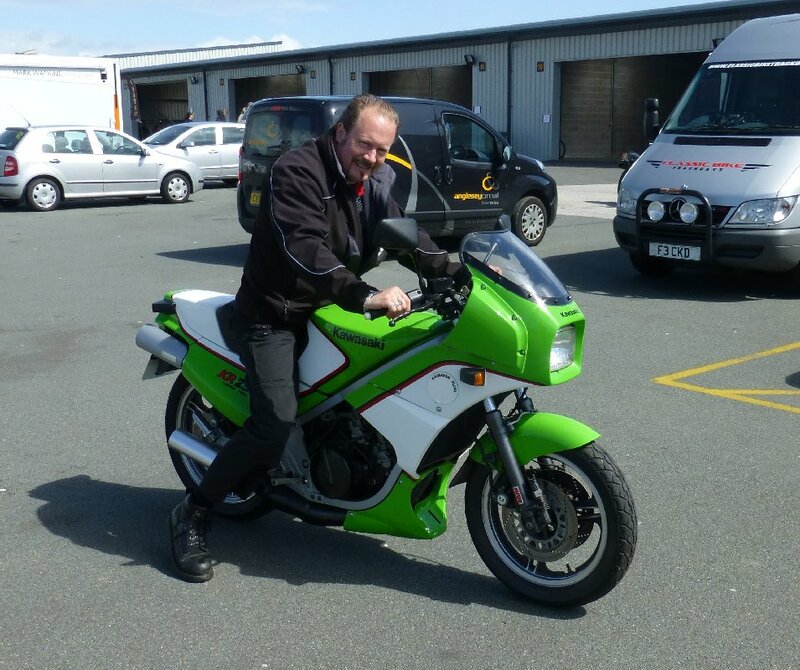 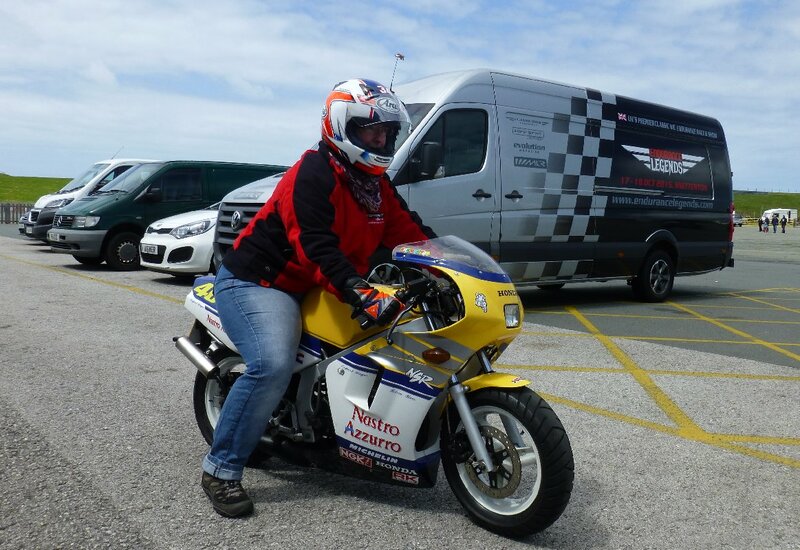 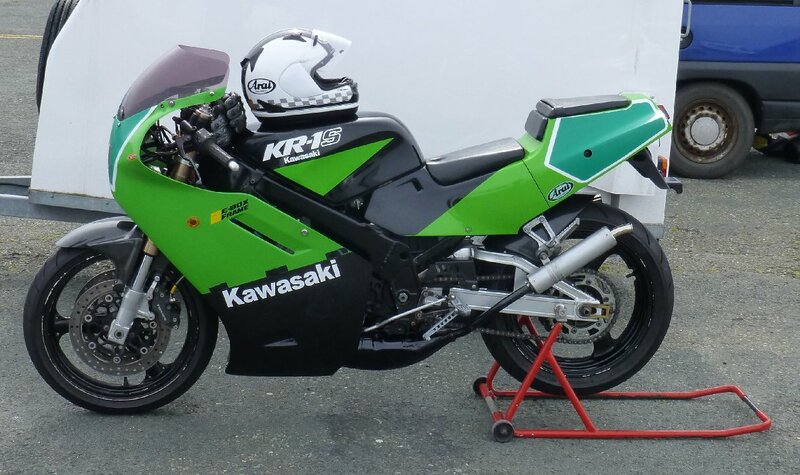 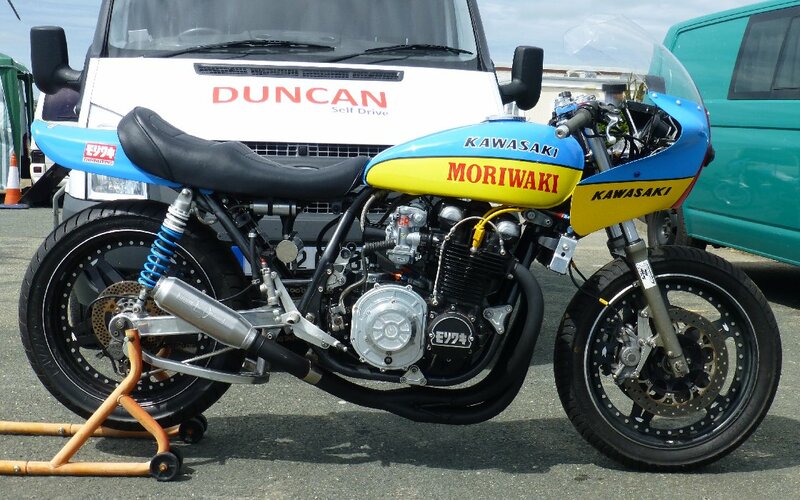 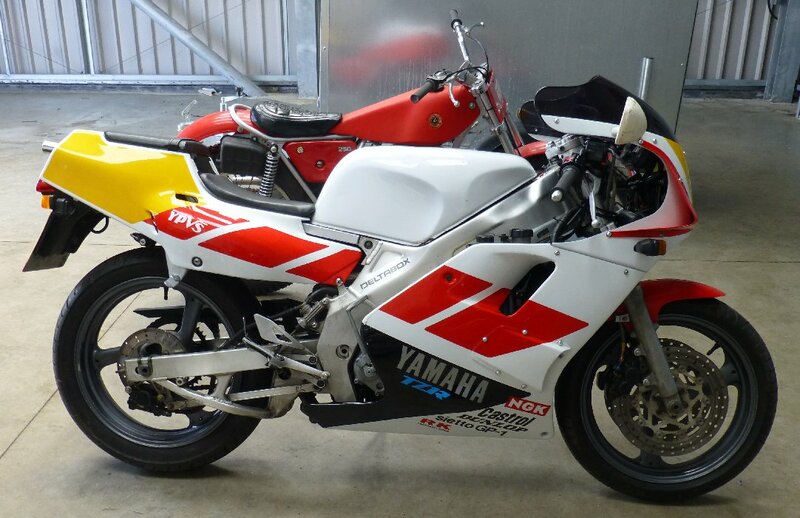 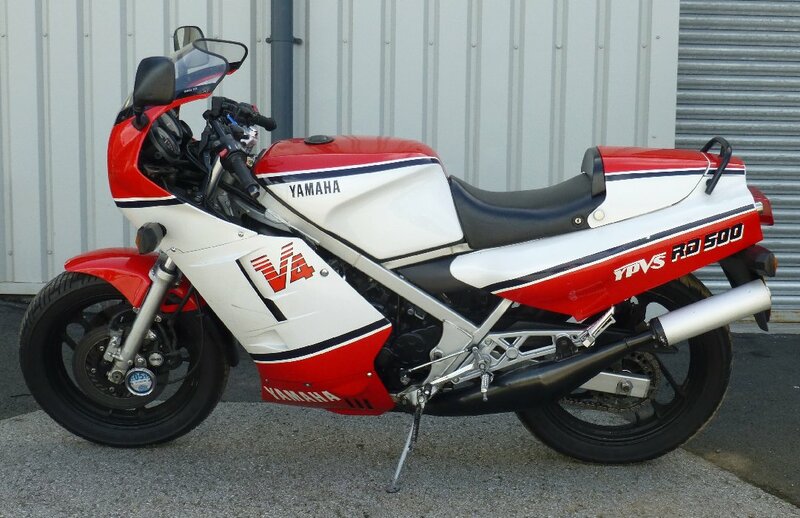 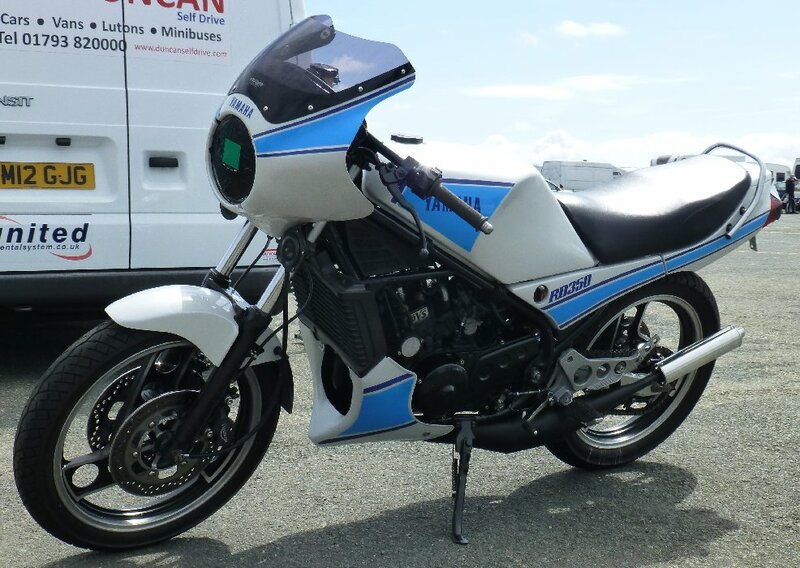 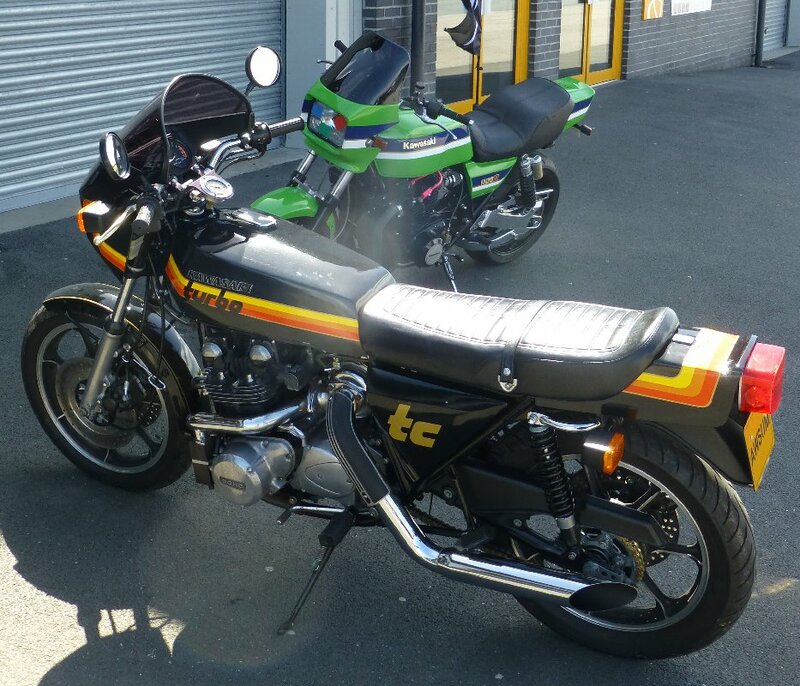 The Welsh Classic Motorcycle Festival comprised a 2-day trackday along the usual Classic Bike Trackdays lines, plus a classic bike show organised by the VJMC along with the Thunderfest in conjunction with Classic Mechanics magazine. 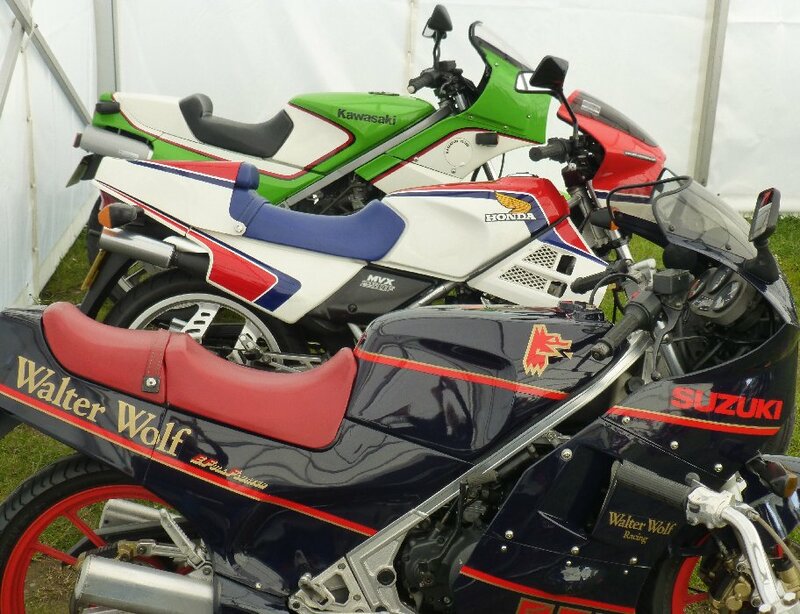 Plus a disco and local rock band in the bar on Saturday night along with a hog roast. 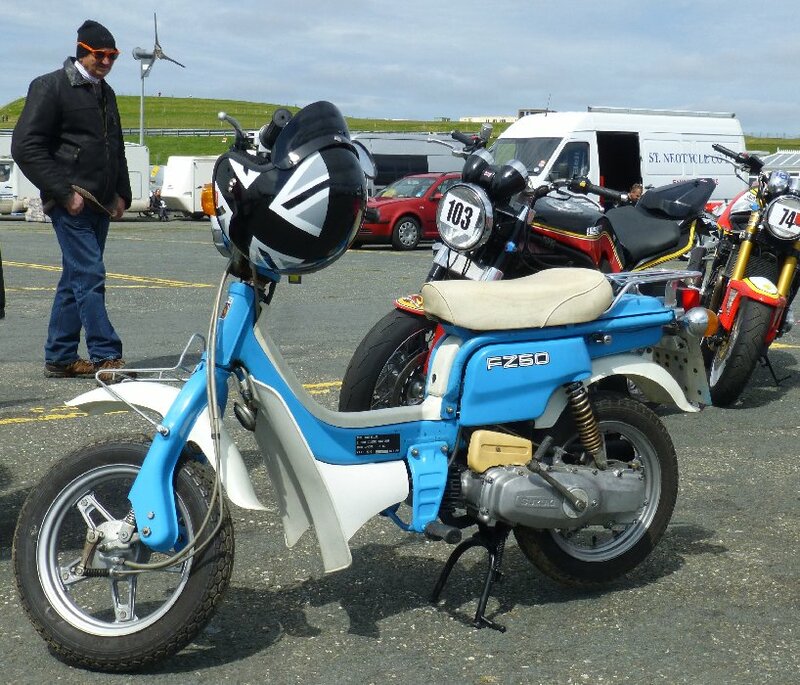 Darin and Rob had chosen the Coastal circuit, missing out the boring International loop in favour of the amazing Corkscrew. 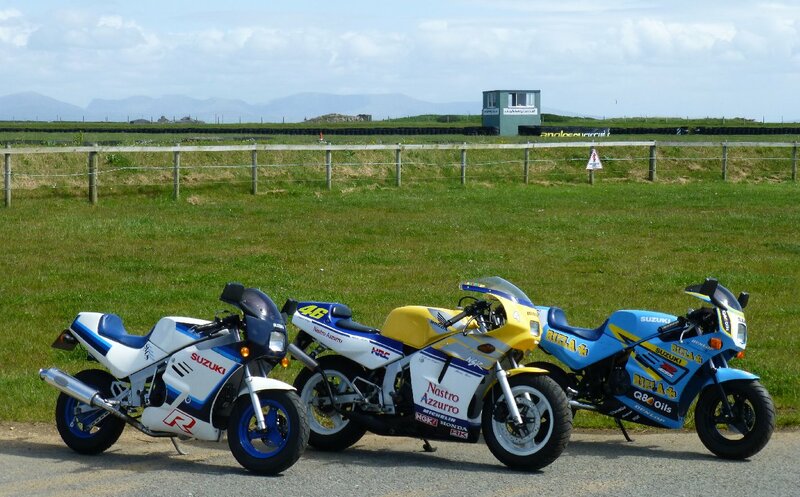 There were the usual Novice, Pocket Rocket and Superbike sessions, with the Thunderfest heats mixed in plus a Cavalcade at lunchtime. 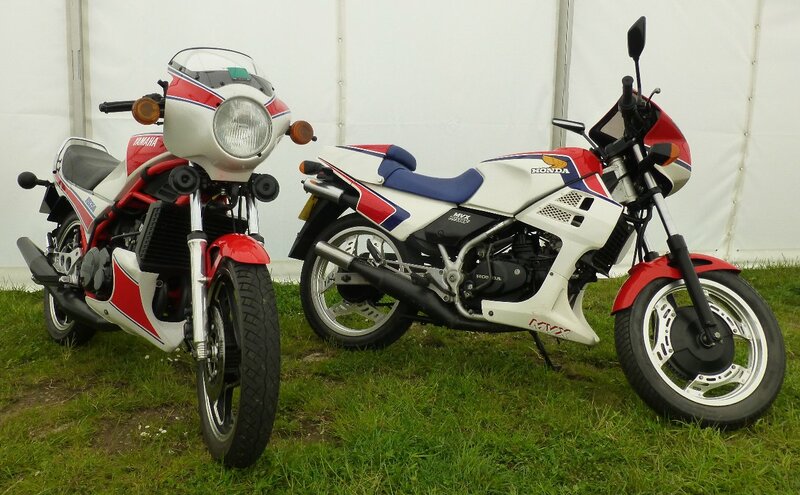 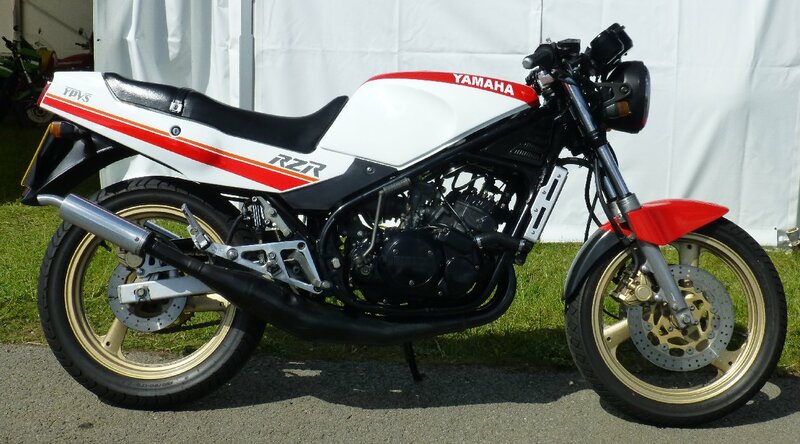 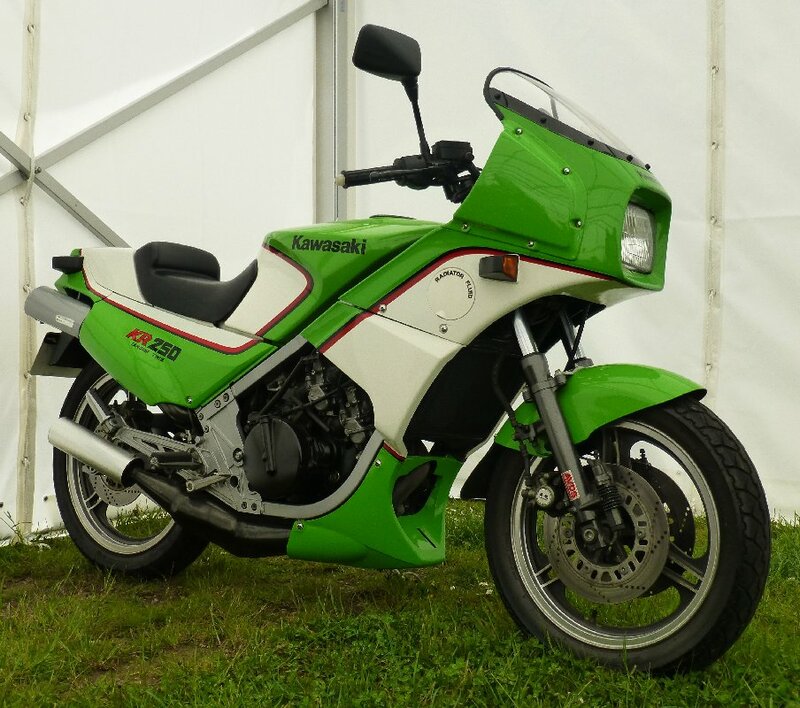 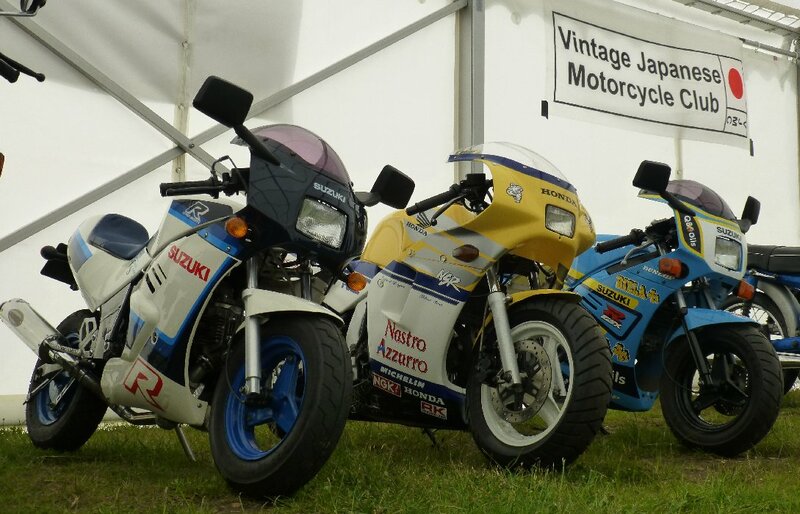 The VJMC show was in a large marquee and about 50 bikes were present including a few of ours : Tim's RB50, Sara's NSR50, Rob's Z1100R and 5 that Darin had managed to squeeze into his van (Z1R-TC, KR250, RG250-WW, MVX250F and RB50). 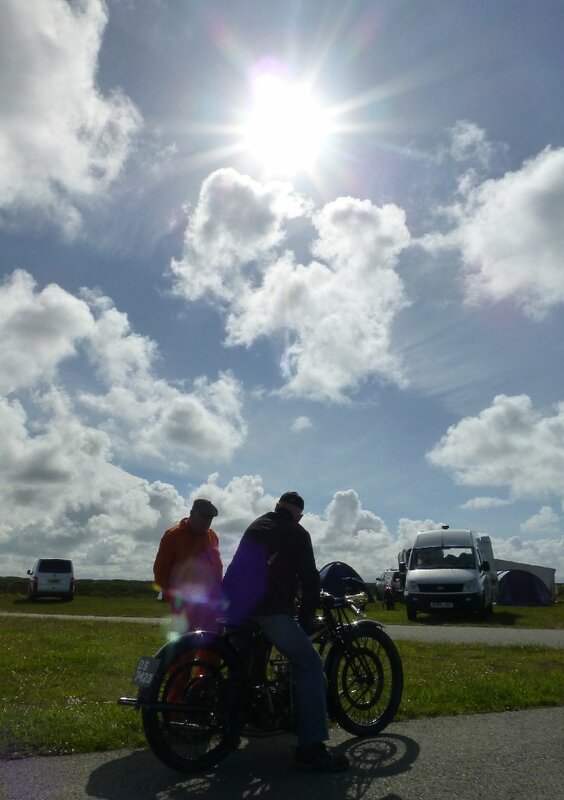 It was dry and sunny throughout the Saturday, until 9pm anyway. 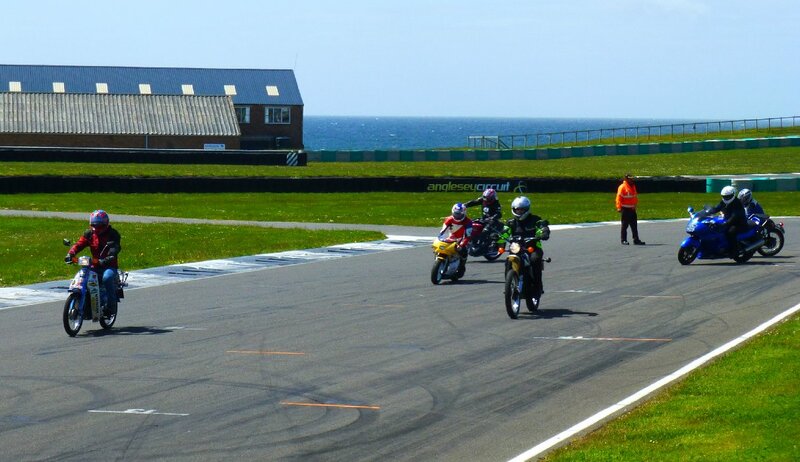 During the night there was a massive rainstorm but the wind was so strong that the track had dried by the start of the Sunday sessions. 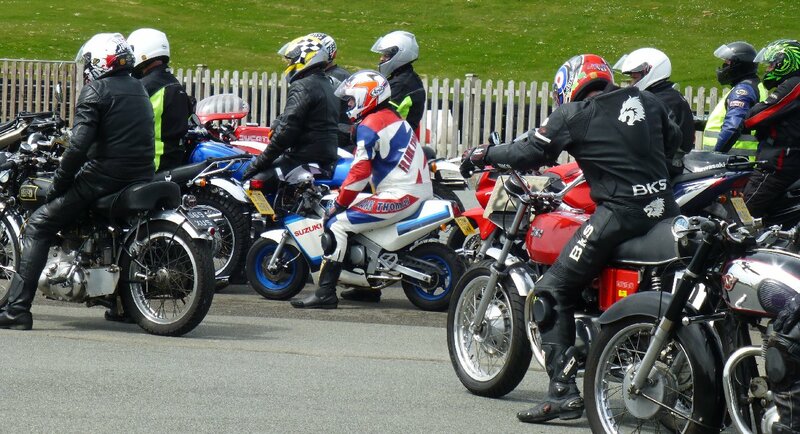 Quite a few people left early but they missed a great day as they sun stayed out until the end. 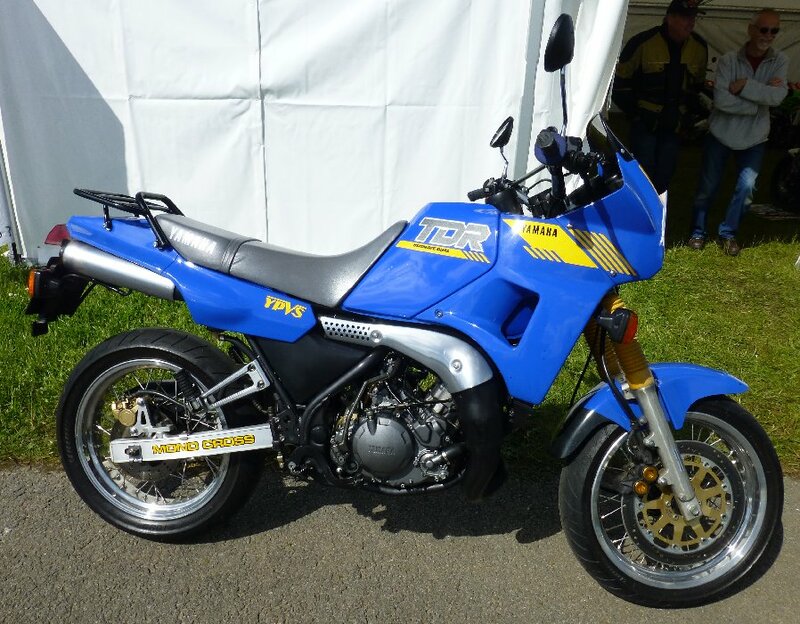 Thanks to Darin, Rob and Chell for arranging yet another great weekend and to Andy for inviting us to join in the bike display. 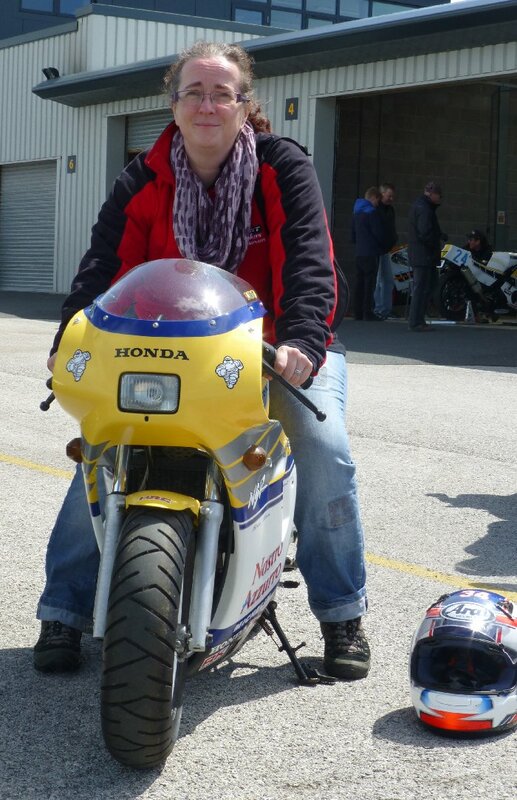 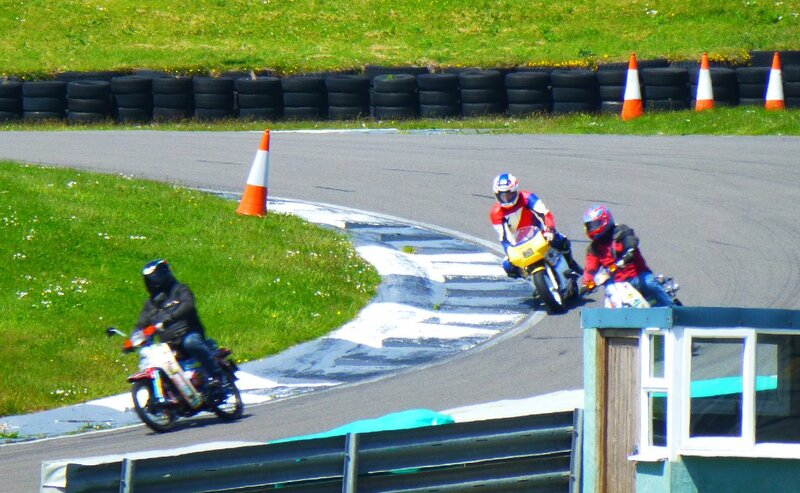 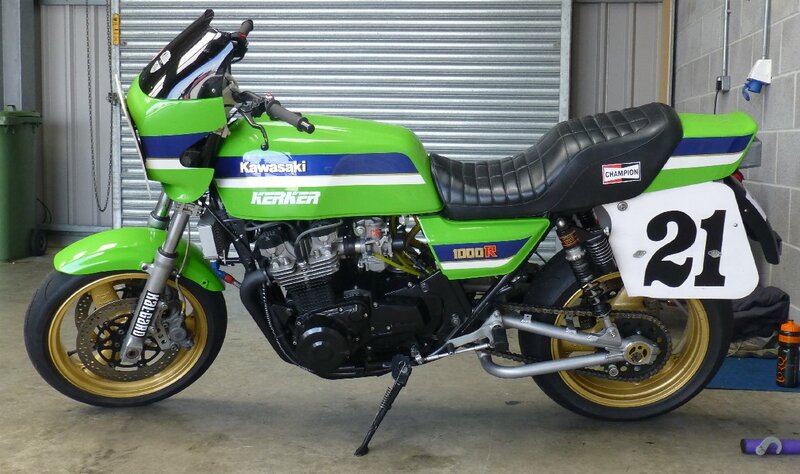 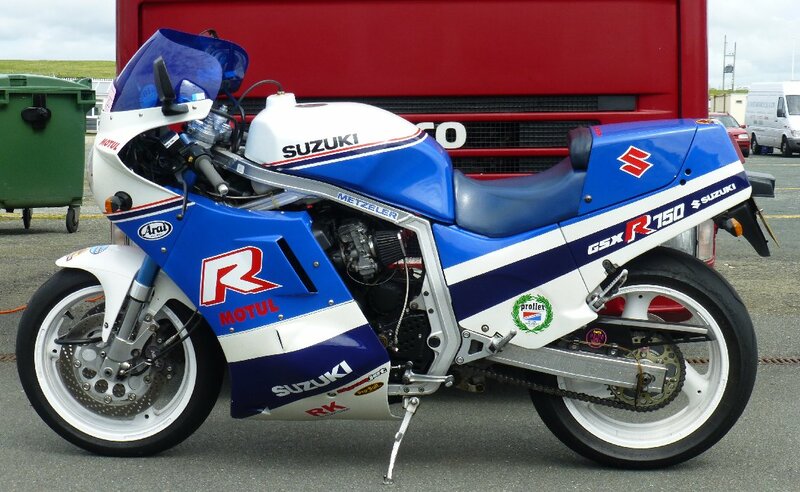 Next stop, more of the same at Cadwell in July.